Do you lack a powerful sense of purpose in your life? 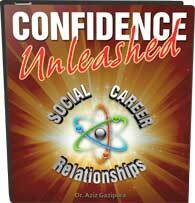 Would you like to experience the same passion and inspiration that you see in others? 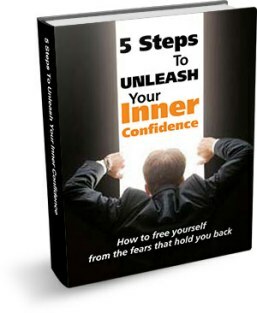 Do you want to feel more connected to life and develop an energy that excites you and drives you through challenges and fears? Today, we’re going to discuss purpose. Many of us feel as if we’re just floating through life without any meaningful objectives to grab onto—without a purpose to keep our lives focused and moving forward. Purpose gives us meaning. When we’re living our purpose, we move through life a thousand times more confidently. So, what if you’re not living your purpose? 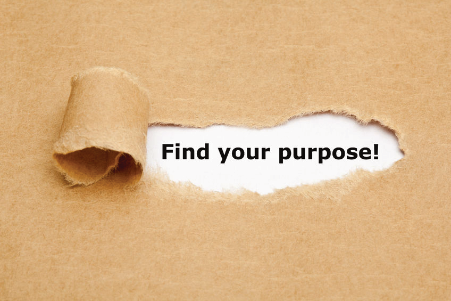 This is a subject that came up recently during a group session I was running, and it struck me that this is a problem that plagues many people in our society and beyond: how are we supposed to create a sense of purpose in our lives where none seems to exist naturally? I am here to do, however, is to question you, make you think, and share some of the essential steps to forging your sense of purpose. First of all, everyone has a purpose. An acorn, for example is destined to become a powerful tree. It may be small at the onset, but it contains everything it needs to develop into a massive entity with deep roots, a sturdy trunk, long branches and thousands of leaves—this is, of course, a metaphor for your potential. You already possess everything you need to become successful in pursuing your purpose . . . and just like a tree has many branches, your purpose might express itself in many areas of your life and in many ways. There are about a million ways that we can feel our sense of purpose and how it expresses itself. So how do we go about finding them? Secondly, your purpose is not hiding in the thoughts racing around your brain, and it is (most likely) not going to be revealed to you in some otherworldly flash of enchantment. Your purpose resides in your heart. It’s the image of yourself that makes your pulse quicken; it’s the exciting aspect of your life that makes you feel more alive; it’s the activity that inspires you even as you merely imagine doing it. Now, you might not know how to turn this passion into purpose right off the bat; you might be thinking that you’ve spent too much time creating a future in some other field to go changing your mind willy-nilly; you might not know how to turn your purpose into in income earner. To start, your purpose doesn’t need to pay the bills in order to qualify as your purpose—it is simply the thing that makes you feel alive, and any pursuit that accomplishes that goal is worth its weight in gold. Sometimes it’s more important to look forward to a future full of potential and joy than it is to stay rooted in the present, no matter how safe and secure your current reality may be. For those of you who can’t imagine abandoning the hard work you’ve done to get to this point in your life, there is good news: you don’t have to completely change gears to make this dream a reality! Many of us have developed skills within our current careers that can be utilized either to move into new fields or reimagine the ones we’re already in. If you’re in advertising, for example, you probably have a strong grasp on language, communication and rhetoric, you’ve developed networking skills, experienced handling client accounts, and gained experience in salesmanship—not only could you branch off and start an advertising company of your own, but you could also translate those skills into a bright future in any number of fields that relate to advertising, such as marketing, PR, brand management, or consulting. You don’t need all the answers before you take action. I, for example, completely changed gears half-way through college, and I had no idea that this is where I’d end up after two-and-a-half years of studying computer science. I decided that it was time to go after something that made me feel alive, so I tried a few things out. Sure, I got it wrong the first few times, but with each attempt at figuring out my purpose, I learned more and more about myself and my desires for my future. With each attempt, I was slowly forging my purpose. I like to use the word “forge” when discussing purpose because purpose is not something that just happens to you out of the blue—it’s something that is build, fought for and earned over time. In order to truly determine your purpose, you must begin to take action. Even if it’s difficult at first, if you feel more alive pursuing your passion and imagining the future ahead of you, you’re on the right track. You might not meet success the first day, the first week, or the first month, but that isn’t a sign that you should give up. Part of forging your purpose is accepting that there are going to be moments that scare you and situations that intimidate you. You’re going to face problems you think you can’t handle, and you’re going to come up against fear and failure. Just like with any other fears, you’re going to have to face them head-on. If you’re playing it safe, you’re never going to find your purpose. Passion does not arise from comfort. You will have to reach past your comfort zone to become successful in this pursuit. When the voice in your head starts telling you you’ll fail, that’s when you’re on the right track; when you feel uncomfortable and too scared to move forward, that’s when you’re on the right track. As you begin to forge your purpose, you might also notice that it changes and shifts continuously . . . and that’s a good thing! No one can sit in a static reality living off the thrill of one success. Your purpose is alive—it moves like a current to keep you energized; it expands with possibility to help you grow; it advances in complexity to keep you moving forward. Keep yourself open to the possibilities your purpose presents, and there will be no end to the inspiration you will receive. Get out of your head by going for a walk or a run. Leave your phone in the drawer—stop pumping information in from outside stimuli, and let your gut be heard. Shut out all of the old stories you’ve been telling yourself about failure and give the new stories a chance to be written. You have the potential—you just need to set it free. Please take a moment to share this video with your friends and leave your thoughts below. How could you pivot your current situation to point in the direction of your purpose? What’s holding you back from taking the next step? Let’s encourage each other by sharing our stories and assuring one another that change is possible. Until we speak again, may you have the courage to be who you are, to follow your heart, to forge your purpose, to persevere through failure and hardship, and to know all along that you’re awesome.